All researchers in member institutions and across Canada, including postdoctoral associates, graduate students, undergraduate students (if doing research), research associates, and research staff are eligible to apply for accounts on CAC systems. For a default account, Compute Canada credentials are required. As a rule of thumb, if you qualify for Compute Canada credentials, you qualify for a CAC account. CAC acknowledges that high-quality research projects often require large resource allocations and encourages researchers to tackle problems that require as much computing as can be delivered. Nevertheless, CAC’s resources must be shared equitably. CAC seeks to balance the two goals fairly. Normally, all users have equal access to CAC’s resources. 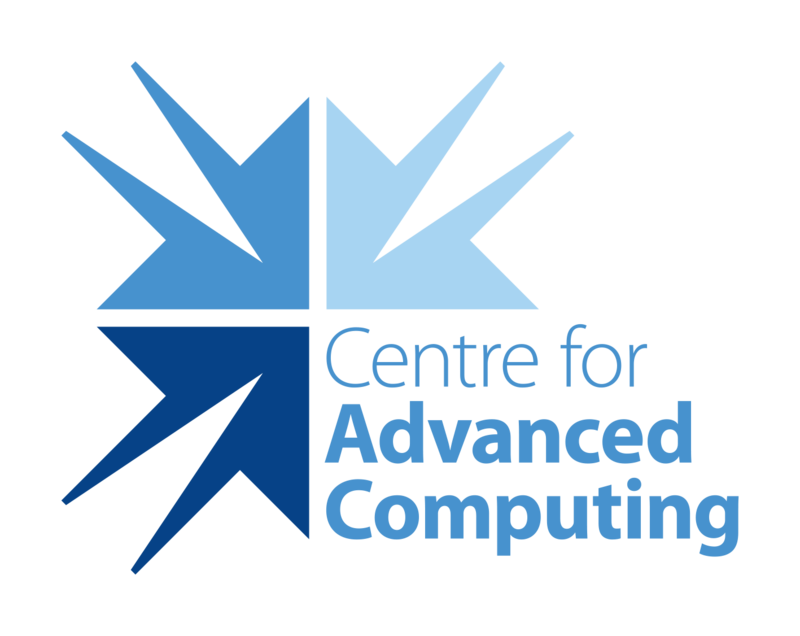 Users who need and can use all of CAC’s computing resources on a large-scale problem are encouraged to contact us to arrange for additional resources. This may involve a formal application through Compute Canada. CAC exercises no control over the content of the information passing through CAC’s equipment. CAC makes no warranties of any kind for the service it provides. CAC will not be responsible for any damage a user, or any other person, suffers in connection with use of CAC’s facilities. This includes damages resulting due to delays or service interruptions. CAC staff makes every effort to prevent the loss of data in the event of hardware or software failure, or through human error. In rare cases, it may not be possible to restore data file from backups, and some may be lost. CAC will not be liable to any person for any loss or corruption of any data, records or information placed on the system. Users agree to indemnify, and save CAC harmless from all liability. Each user agrees to indemnify and hold harmless CAC from any claims resulting from user’s use of the service. CAC will maintain an up-to-date registry of all CAC computer resources, licensed software, and the location of those resources. In the event that CAC has actual knowledge, or there are reasonable grounds to believe, that the user may be in violation of any of the restrictions under CAC policies, CAC shall have the unrestricted right to terminate or suspend the user’s rights under this policy. CAC reserves the right to refuse extra computing resources to users if their code cannot use the extra resources efficiently. Users are encouraged to attempt problems that require large resources, but the onus is on such users to ensure that their code can use the resources efficiently. All resources are shared. Users are subject to a default allocation (see wiki pages for details).This allocation is a target, i.e. contingent on availability. Default usage of our resources is through a queuing system. This scheduler implements resource allocations, priorities, fair-share policies etc. System usage outside of the scheduler requires specific permission. A substantial portion of our resources is allocated through an annual national competition conducted by Compute Canada. Pre-allocated resources may impede on the default availability. CAC maintains regular backups for the purpose of disaster recovery. We do not provide archiving services for default accounts. If an account is deactivated, CAC archives or retains the data for a grace period. Temporary data (for instance “scratch”) are not preserved and may be deleted at any time. Past this period, if no action was taken to reactivate the account, we reserve the right to permanently delete the data. See wiki for details. Security issues and related services are addressed in our Security Policy. CAC is responsible for supporting only software that it has explicitly agreed to support. The list of supported software will be reviewed periodically and will be posted on the CAC Wweb site. Send requests for new software to our ticketing system at cac.help@queensu.ca. For licensed software, CAC requires users to sign a statement agreeing that they will abide by the terms of the license. Access to the software is contingent on this statement. Users are allowed to install software on our systems in their own domain, as long as the software is appropriately licensed and not made available to anyone but the licensee(s). CAC will assist users to protect their licenses, but cannot be held responsible for infringements. CAC will not be held responsible for any license infringement by any user.